The catastrophic damage and displacement caused by Hurricane Harvey dominated headlines this week, and for good reason. Millions of Americans were impacted, losing property, pets, and most tragically, loved ones. The media has covered the storm 24/7 since the 25th, reporting stories that are inspiring (Anheuser-Busch and J.J. Watt), terribly sad (Harris County van recovery), and unfortunately, vacuous at times (Melania’s shoes). Truly groundbreaking work from our European friends. I must say, upon reading this article I was rather disappointed, because I’ve been planning to live to three or four hundred at least. Is anybody surprised that some Americans have fallen for the identity-based, race-baiting rhetoric of the left? Racial tensions in this country aren’t high right now because everyone is more racist, they’re high because Democrats are desperate to take Congressional seats back in 2018, and smearing Republicans with accusations of “racism” and “white privilege” is the fastest way to do that. It’s Kamala Harris, of course she wants single-payer. It is strange though, since the Senator saw the fiscal irresponsibility of single-payer health care first hand when state-run healthcare was considered in California. 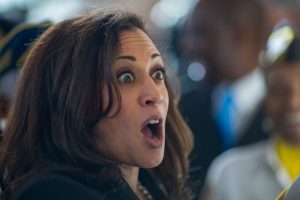 Harris’ home state determined that “Medicare For All” would more than double its annual budget. But yeah… let’s try it on a national scale. What could go wrong? Incredible! The dumpster fire that is Salon finally got one right. 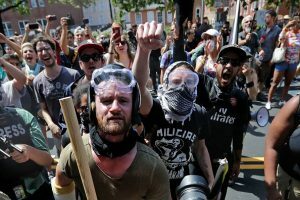 Shocked as I am that this story comes from The Washington Post, Antifa getting violent isn’t exactly breaking news. Unless you ask NPR of course, then they’ll just tell you you’re being paranoid and crazy. That man with the mask and the billy club? Oh, he’s just here to protect the peaceful protesters. Over the next week, as the waters recede, we’ll find out more about the damage that’s been done to Houston, and then start working towards rebuilding the city. In the meantime though, keep an eye out for those useless headlines that can provide a good laugh in a time when we all need one. Next articleWhat’s so Special About Labor Day?